MSGT. Royce Lee Collins Ret. 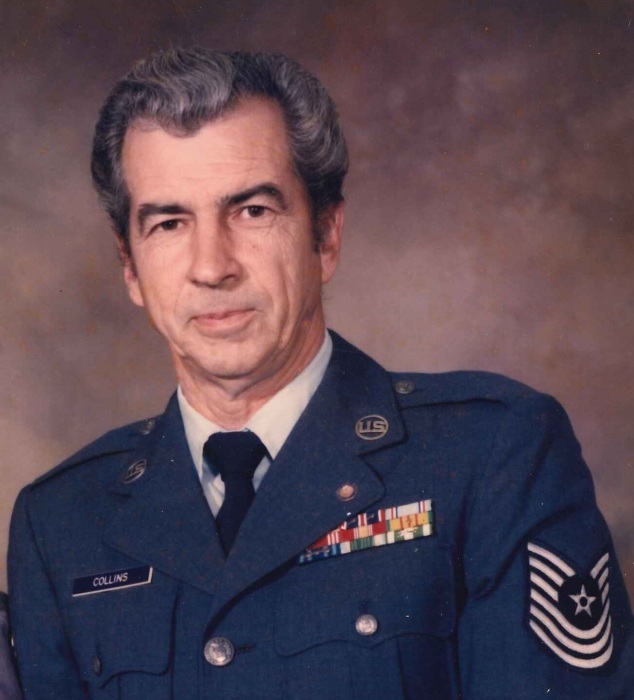 US Air Force, 84, of Fuquay-Varina passed away Monday March 18, 2019 at his home. He was born in Harnett County, the son of the late Sid and Ethel Buchanan Collins. In addition to his parents, he was preceded in death by 5 brothers Halford, Sam, Tom, Clayton and Donald Collins; sister, Ida Collins Brown. Royce was known for his love of Bluegrass music and helping friends in the community. Royce is survived by his wife of 60 years, Marie Tutor Collins of the home; 2 daughters, Sherry McGowan (Gerald) of Apex and Vicky McLean (Terry) of Fuquay-Varina; son, Craig Collins of Atlantic Beach; granddaughter, Lauren McLean of Fuquay-Varina; brother, John Collins of Broadway. A funeral service with full military honors will be held at 3:00 PM Wednesday March 20, 2019 at O'Quinn-Peebles-Phillips Funeral Home Chapel with Rev. Ben Pearce officiating. The family will receive friends after the service and other times at the home. Memorials may be made to Baptist Grove Baptist Church, 6140 Christian Light Rd., Fuquay-Varina, NC 27526 or Christian Light Christian Church, 4351 Christian Light Rd., Fuquay-Varina, NC 27526.